Breast cancer is considered one of the most invasive forms of cancer. It accounts for 22.9% of all invasive cancers in women and 16% of all cancers in females. In the U.S., 231,840 new invasive breast cancer cases are expected in 2015, according to the American Cancer Society. An additional 60,290 cases of in situ breast cancer are also expected. As a result, approximately 40,290 American women will die from breast cancer. Breast cancer begins in the inner milk duct lining, or the lobules that supply the ducts with milk. Breast cancer beginning in the lobules is called lobular carcinoma, and it is called ductal carcinoma when it develops in the ducts. 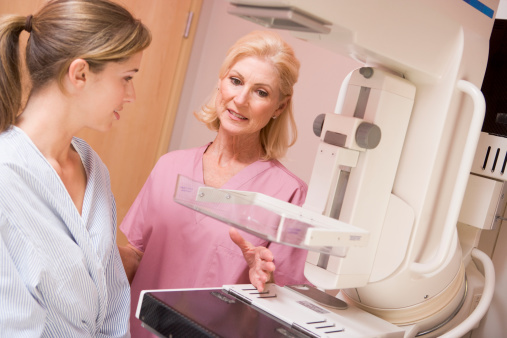 Ductal carcinoma in situ (DCIS) is considered the most common non-invasive breast cancer. It is often found from mammograms and treated with a lumpectomy and radiation or a mastectomy. DCIS cases have risen in recent years, along with the rates of breast cancer screening. Now, 20% of screen-detected cancers are DCIS. “There is growing evidence that we may be over-treating women with DCIS and that less aggressive approaches such as hormone-based therapy alone or active surveillance (also called watchful waiting) may be appropriate for some women with this diagnosis,” explained the study’s lead author, Kirsten McCaffery. In DCIS, some women may benefit from aggressive treatment to delay or prevent the development of more dangerous breast cancer types. In other DCIS cases, women possess abnormal cells that grow very slowly, and radiation and surgery may do more harm than good to the patients. It is a challenge for women to make the most appropriate treatment choice based on how to describe and what to call the cancer. For the study, the researchers tested how the name for DCIS influenced a patient’s concern about the diagnosis and treatment preference. The test involved 269 women in a pair of hypothetical scenarios. The doctors would call the condition either, “pre-invasive breast cancer cells” or “abnormal cell.” The women were randomly chosen to hear the first scenario, followed by the second cancer description. When the women who were first told that they had “abnormal cells” later heard “pre-invasive breast cancer cells,” the number who decided to wait for treatment dropped to 55%. The women who were first told that they had “pre-invasive breast cancer cells” were less likely to wait for treatment after hearing the alternative wording with 59% electing to wait once hearing they had “abnormal cells.” Finally, 67% of those who first heard “abnormal cells,” expressed greater concern when the word “cancer” had been used in the scenario. The study authors stressed that the scenarios presented are hypothetical, and the women may have different responses if they had a real diagnosis. That being said, the findings have potential to control the need for unnecessary treatments when the word “cancer” is left from the description of the diagnosis. Women should ask their doctors whether their abnormal cells surround the breast tissue, or the breast lobules or ducts to help them make an informed decision about cancer treatment. Women should also ask about the look of the cells, the size of the abnormal area, and whether the cells can be felt or seen from imaging scans. McCaffery, K., et al., “How different terminology for ductal carcinoma in situ impacts women’s concern and treatment preferences: a randomized comparison within a national community survey,” BMJ Open, 2015; 5:e008094, doi: 10.1136/bmjopen-2015-008094. Rapaport, L., “Women panic less when abnormal breast cells are not called cancer,” Reuters web site, November 11, 2015; http://www.reuters.com/article/2015/11/11/us-health-dcis-diagnostic-terms-idUSKCN0T02DB20151111#OxTtt9LSMowYOEoc.97. “Breast Cancer Facts & Figures,” American Cancer Society web site, http://www.cancer.org/research/cancerfactsstatistics/breast-cancer-facts-figures, last accessed November 12, 2015. “Breast Cancer: Causes, Symptoms and Treatments,” Medical News Today web site, September 30, 2015; http://www.medicalnewstoday.com/articles/37136.php.